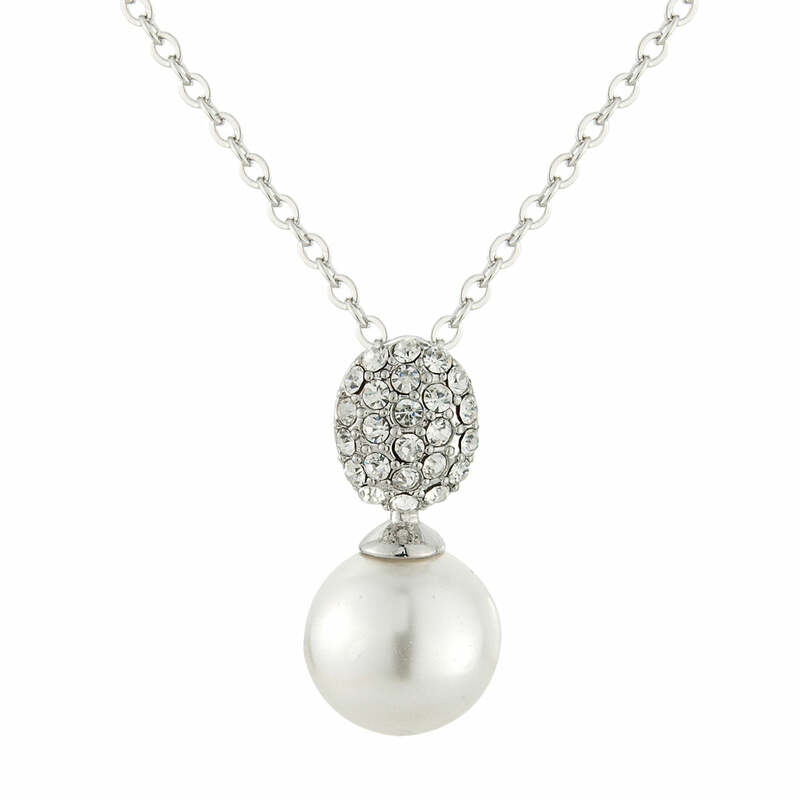 Simple and utterly stylish, this beautiful pearl and crystal pendant is divine. Inspired by classic diamond and pearl pendants from the early 1950s, Timeless Elegance Pendant is true to its name. Set on a delicate silver tone chain, the pendant features a single light ivory faux pearl with Austrian crystal studded adornment. Perfect for all occasions from lunch to a fabulous evening event, coordinate with matching Timeless Elegance Earrings for a look sure to attract an admiring glance or two. For the classic bride who favours delicate jewellery, is beautiful pendant is ideal. Subtle yet stunning, it will certainly enhance all wedding gown styles with class. Emphasize its 1950s style by teaming with a simple pearl head band.